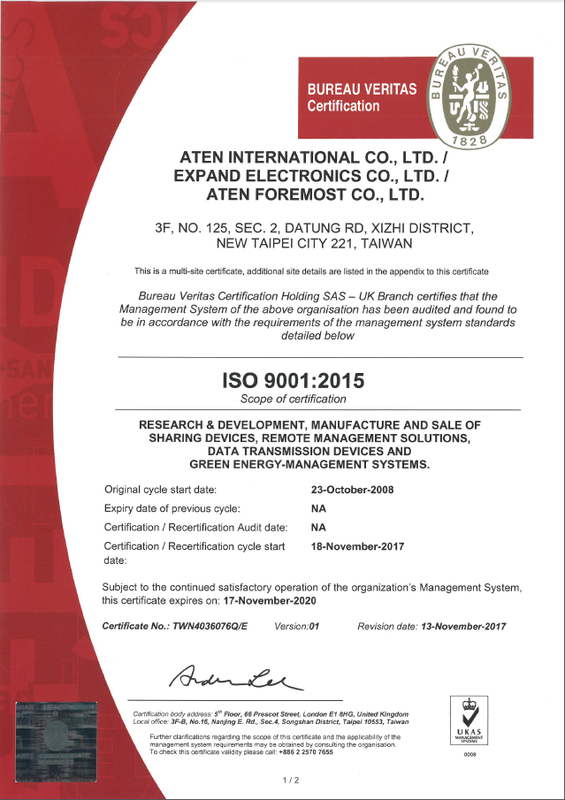 By following international standards of ISO 9001 and ISO 14001, ATEN has established a quality and environment management system and has been certified by SGS. “Technology innovation, quality excellence and customer satisfaction” are our policies for quality management. Based on these policies, we have developed quality objectives at each stage to ensure product quality can meet customer expectation. With a good internal and external communication channel established, we can fully understand customer’s needs and suggestions. We prioritize customer satisfaction and continuous improvement with emphasis on PDCA and establish a standard operating procedure (SOP) that can fulfill product specification and customer requirements. 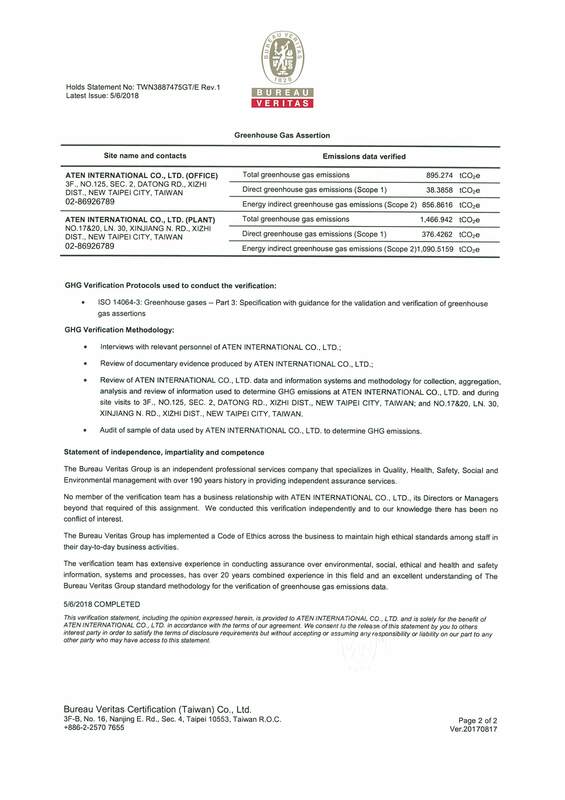 With the SOP, all our operators can follow their tasks, ensuring consistency of product quality. Consequently, we are proud to receive the 15th “National standardization – corporate standardization” award by the Bureau of Standards, Metrology and Inspection, MOEA, which is the highest recognition to our standardization process followed by all of our employees. 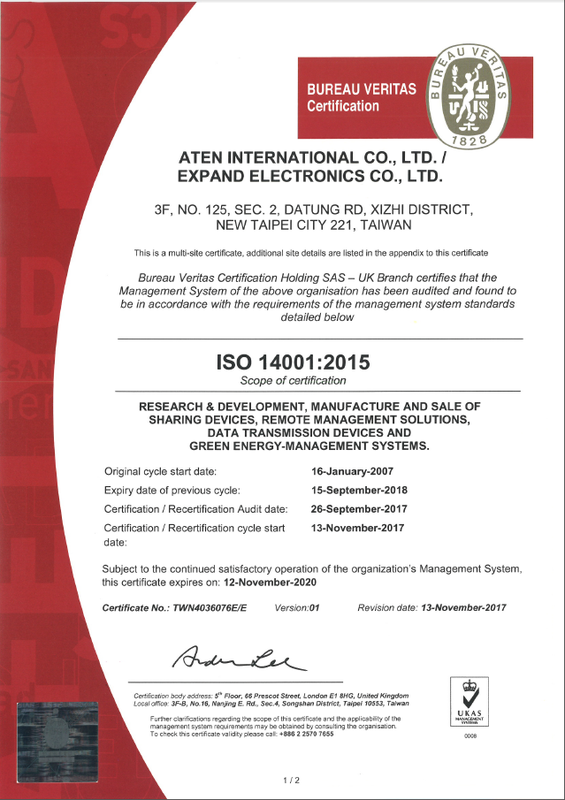 In addition to giving extreme high requirement for our products, ATEN also additionally bears its responsibilities and attitudes to the environment in accordance with ISO 14064-1 GHG verification and has been validated by the third party BV, an international certification body. We also continuously push the green product design in order to provide customers with products without hazardous substances.